Two charts. 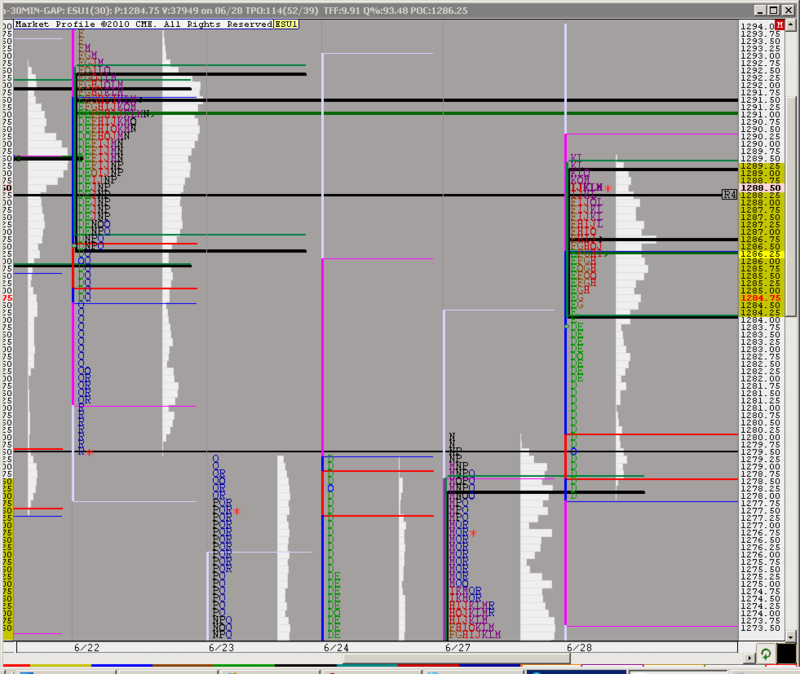 O/N Volume Profile and O/N TPO profile. Whats interesting is the two are pretty much opposite looking. 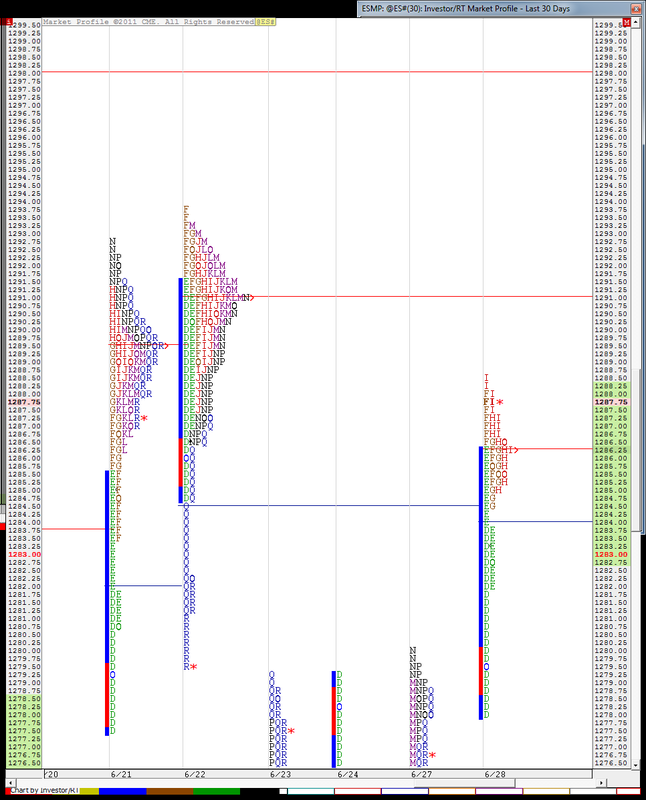 Volume entered the market at the lows of the O/N and quickly drove prices north. Also, price is currently sitting on YD RTH high of 1280. If opening here, we will be above YD value and above YD range, per Dalton, range potential is unlimited in either direction. So everyone can see what Bruce is looking at. Singles down in that E period. 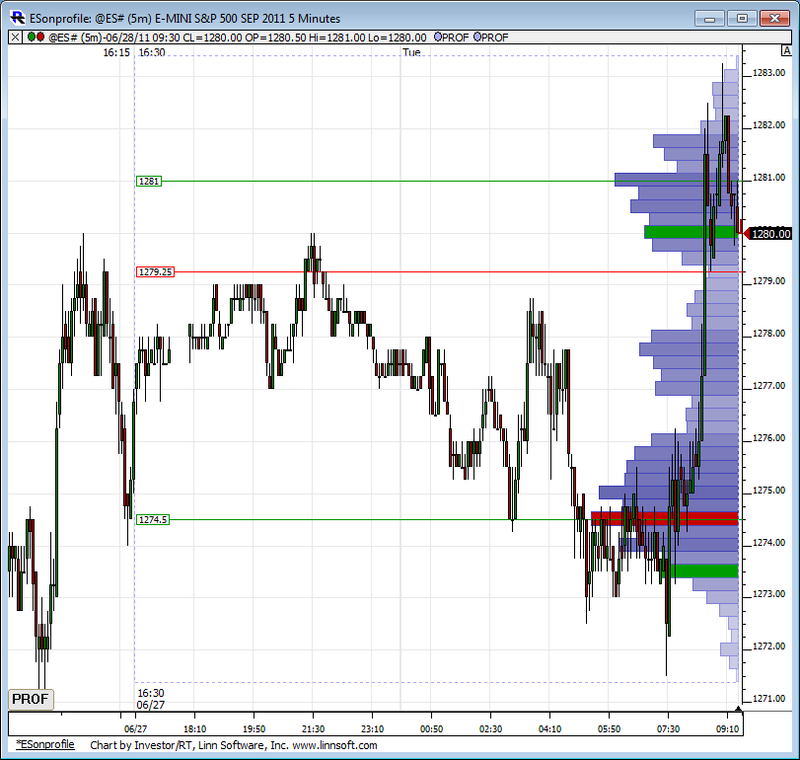 Interesting though G period found its support on the single from 6-22.
that 1291.25 level. I have a friend who shorts it when it prints, he scalps for 2 points. the reality is that often, price will back away, retrace. test immediate support before attempting a move to the full extension. best chances (even though historically it is about 8 in 10) best chances the way I view it is that MOnday's H (1280.00) acts like support. I was in the midst of writing this when the ES prionted the .618 extension. 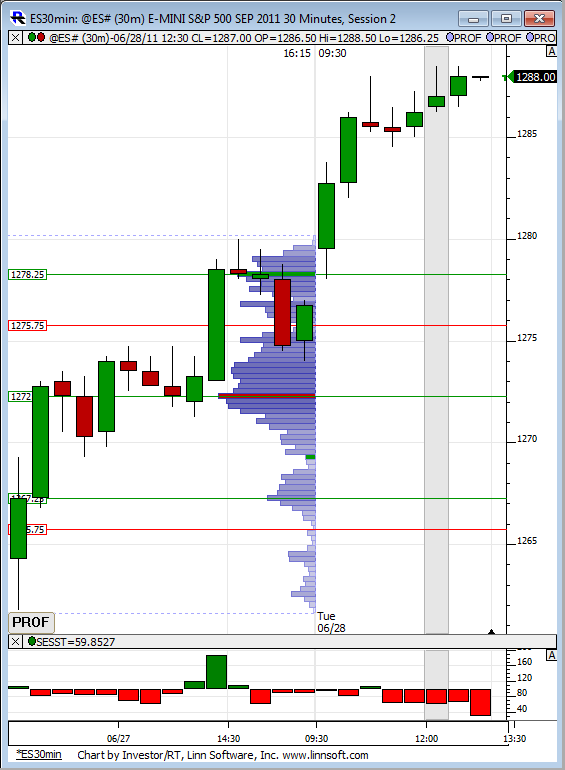 Well, we've printed Paul's .618 extension at 91.25 ... thanks for the further detailed description of what to look for Mister.